The most extraordinary condominiums are usually located in the exotic locations of the world. The pristine beaches with warm tropical climate, the glittering water, the clear blue sky, the gorgeous surrounding views, all these add to the beauty of these luxury condominiums and enhance their desirability. There is a huge demand of the luxury condominiums among the buyers, and so these are getting sold out faster. The amenities, which were not imaginable in the past decades, are now very much available in these luxury condominiums; and they certainly make these condominiums the ultra-modern homes. The Sunny Isles Beach in South Florida is a favorite spot of the tourists as well as the condo lovers. Recently there has been an in-flack of luxury condos in Sunny Isles Beach due to 55-story zoning directly on the sandy beach. 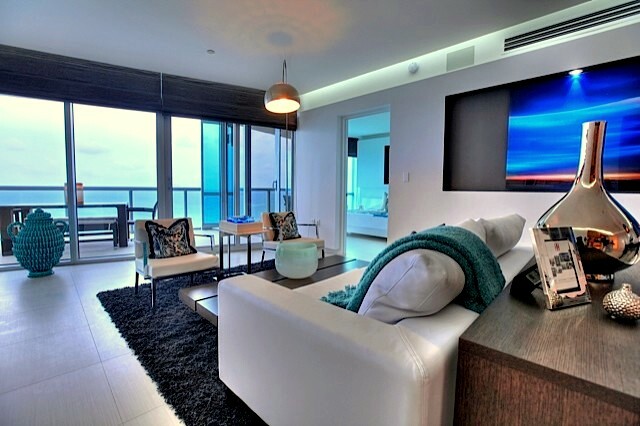 Among the various luxury condominiums in the city of Miami, the Jade Ocean in Sunny Isles beach is a very popular one. This condominium offers an ideal lifestyle full of luxury, comfort and sumptuousness to its residents. All the important areas of Miami and South Florida are easily reachable from this place, and thus making this condominium more desirable. The building is amazing in its outer appearance with a ravishingly decorated interior, and the units are equally splendid. 12. The bathrooms are well decorated with marble countertops, European faucets, hot tubs and Jacuzzis, vanity mirrors, etc. All these wonderful amenities and facilities make Jade Ocean a place where people would love to spend most of the time of the day and if you want, you too can become a part of this. Jade Ocean does not offer only homes; rather it offers a whole new world of opulence and comfort. For more information, or to schedule a private tour of Jade Ocean Sunny Isles, please call (305) 336-0457 or visit our website.